"The best teachers are those who show you where to look but don't tell you what to see" AK Trenfor. Yogaboann is delighted to announce that we will be hosting a 12 month Yoga Alliance accredited TTC consisting of 300 hours. This is for teachers who have already completed their 200 hour yoga teacher training and so bringing you upto 500 hours. This exciting course will be thought by experienced local and international teachers and includes a residential week in Sabina, Italy with Nico Luce from 16-23 September 2017. This is suitable for all teachers who wish to deepen their knowledge and develop an extensive set of skills and insights to bring into your teaching. Expect to achieve a greater understanding of anatomy, allignment, sequencing, student safety, philosophy, pranayama, meditation, chanting and much more. Expect to transform your own personal practice and gain the confidence to take your passion of yoga and transform it into a professional and sustainable career. Teachers on the teacher training . Anthony has been teaching over 20 years. He initially studied Iyengar yoga and is a certified Iyengar teacher. He taught in this tradition until he was introduced to Ashtanga Yoga. From the very beginning, Anto fell in love with the Ashtanga practice, captured by the flowing techniques, challenging asanas, the breathing and the bandhas. Anto shares his wealth of knowledge in a thoughtful, heartfelt and moving class. I'm Italian descendant, born in France, grew up in Argentina, lived in Canada for 13 years and now reside in Switzerland. I've been teaching yoga since 2003 and have trained in various lineages such as Power Vinyasa, Ashtanga, Anusara, Yin and Pilates. I'm also a student of eastern philosophy and spirituality which I weave into the physical practice to create a profound transformational experience. Bringing meaning to the practice and attention to refined bio-mechanics are at the heart of my teachings. In 2008 my wife Chloe Labelle and I partnered up with YYoga to open a vibrant studio in North Vancouver called Northshore Elements. Since 2013 we live in Europe from where I travel internationally teaching workshops, retreats and Teacher Trainings and regularly produce instructional videos for GAIA/myyoga. 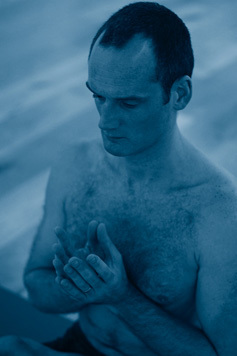 David began a disciplined daily practice of yoga in the mid-90s when living in San Francisco. As an athlete he was attracted to the dynamic practice of Ashtanga Vinyasa and was inspired by the discipline it takes to practice this method effectively. David’s main influences then were the Founders of Yogaworks in LA, Senior Ashtanga teachers Chuck Miller and Maty Ezraty under whom he studied with daily for two years and later in workshops across Europe as well. They taught him how to practice dynamically yet with humility and with an emphasis on safety. 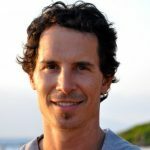 He has studied extensively in India, Australia and the U.S under various Senior teachers in both the Ashtanga and Iyengar Methods. 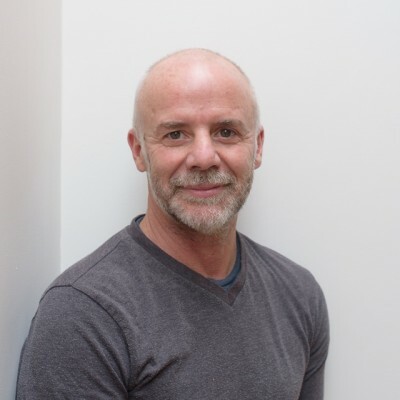 David is currently under the direct guidance of the founder of Shadow Yoga and Nrtta Sadhana Zhander Natanaga (Shandor Remete) and his wife Emma Balnaves to whom he is profoundly grateful for their depth of knowledge and the sincerity of their path. Although he has recently been given permission to teach the three preludes of Shadow Yoga he continues to learn daily from this sophisticated system of Hatha Yoga. David is also a certified Somatic Movement Educator (SME) through the International Institute of Somatic Movement Education based in Tamil Nadu, South India. SME is a neuromuscular re-education system that facilitates sensory- motor learning to gain greater voluntary control of the physiological process resulting in freedom of ease and agility of movement. Movement has always been sacred to me. I have danced my whole life, whether it’s been grooving to a good song, taking dance classes or flowing through a vinyasa, my body can’t get enough. Through movement, I feel as though I’m communing with the Divine. I took my first vinyasa class in 2000 at Jivamukti Yoga Center. I had a feeling of arriving home. We moved through postures seamlessly with an emphasis of breath-body connection. The class gave me what the dance world didn’t, an emphasis on the internal journey. I received my 200 hour Vinyasa Certification with Lauren Hanna at Sonic Yoga NYC in 2003. I met Shiva Rea shortly thereafter and again, felt as though I had come home. Shiva had created a language for the kind of movement I’ve been doing my whole life. She, too, understood the idea of fluidity. Our bodies yearn to move like water and when we do, our bodies hum with excitement. I’ve completed my 300 hour Prana Flow Certification with Shiva. I have been leading retreats for over 8 years both in the BC region and internationally. I was part of Sonic Yoga’s NYC 200 Hour Teacher Training in 2005-2006. I have been part of Semperviva’s 300 Hour Teacher Training faculty in BC since 2007. I started my own school of yoga, Lila School of Vinyasa Yoga, in 2013. I teach workshops on the subtle body, chakras, mantra, meditation and asana worldwide. JOIN MY MAILING LIST FOR INSPIRATION UPDATES! I am a Certified Forrest & Yin Yoga Instructor and sharing my love of yoga since 2009 through Forrest & Power Vinyasa style classes. I came to yoga in the late nineties in Dublin after I was diagnosed with ulcerative colitis. I fell in love with the transformational quality of the practice and through yoga, coaching and healing my illness began to ease in intensity. I began to cultivate a sense of balance and peace and in 2005 my journey took me to Asia & Australia. It was there that I connected to a more powerful style of yoga. Having trained with Ana Forrest - Forrest Yoga Tradition, Baron Baptiste – Power Vinyasa Yoga and Shiva Rea – Prana Flow Yoga and Mel McLaughlin ofThe Yin Space, I see the beauty in both a yin and yang style of practice. We need both aspects in our life in order to be in balance. I teach yoga classes at various studios in Dublin and facilitate workshops & retreats across Ireland & Europe. My approach is one of dedication and intention with an element of lightheartedness. 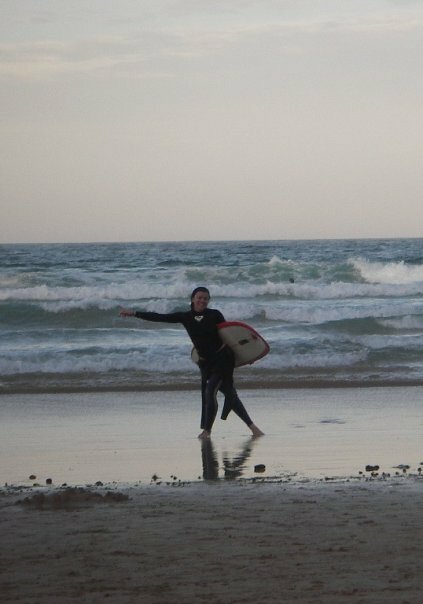 In 2011 I left my PR agency career for a role with lululemon athletica as their Community Connector for the UK & Ireland. Working with a company passionate about vision & goal setting and leadership development, I began my training as a life coach. I am passionate about individual growth and development and I believe in the power of vulnerability. Being vulnerable is to be authentic and my intention is to provide space for people to open up and to listen. In 2013 I trained with The Animas Institute and I work as a consultant with corporate companies and within the well-being industry leading workshops on mindset, mindfulness, meditation, yoga, values, intention setting & vision & goals. My work with Ana Forrest has led me to explore my work as a healer and bodyworker. In 2014 I attended a retreat on Touch for Healing with Judith Ashton and in 2015 I began training in Shamanism with Eliza White Buffalo. I have found the path to healing to be one of beauty and challenge. While in India in 2015 I spent time at the Kirti Hermitage in Rishikesh with Maa Gyaan refining how I work and I now offer one-to-one healing sessions using a combination of coaching, bodywork and energy channeling for clients. My intention is to be of integrity and provide a loving, open, honest & safe space for people to feel they can be honest and truest self. DATES AS FOLLOWS. PLEASE ALLOW A SLIGHT CHANGE BUT DEFINITE DATES WILL BE ANNOUNCED VERY SOON. COST 3.300 EURO WHICH INCLUDES THE RESIDENTAL WEEK IN BEAUTIFUL SABINA ITALY WITH NICO LUCE. PRICE INCLUDES ALL TRAINING, ACCOMADATION AND AMAZING ORGANIC VEGETERIAN FOOD. FLIGHT IS NOT INCLUDED . An introduction day will be anounced soon and further information will be added to the website www.yogaboann.com.